Born La Vonne June Parsons, she grew up in Guthrie County Iowa on a farm and cattle ranch. She was the starting guard and won the Iowa high school state girls basketball championship in 1945! She married the love of her life, Russ Parsons on June 26, 1948. They settled in Des Moines and raised three boys, Doug, Jeff and Rick. All 3 were involved in sports and this was her life and she devoted herself to her family. Vonnie joked she went to work to pay the milk bill for her boys. 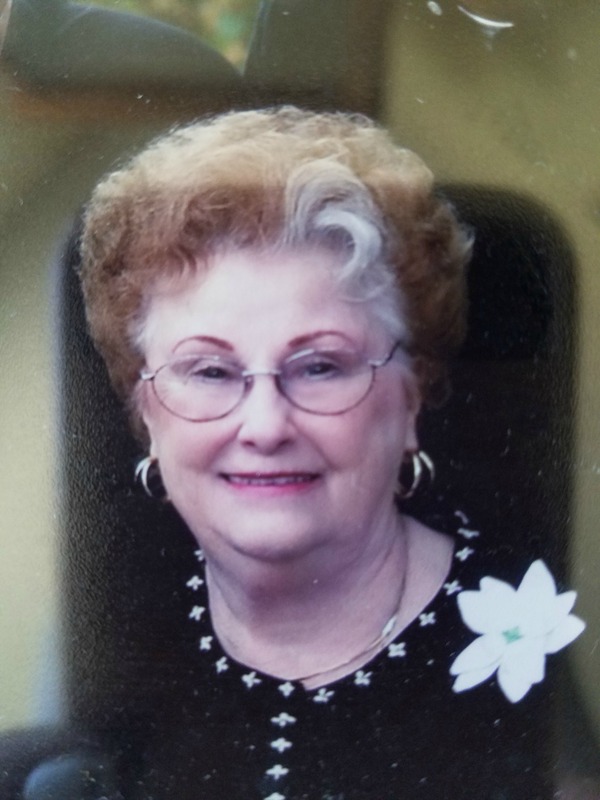 She was the financial secretary at Iowa Methodist for 20 years. In 1989, she and Russ retired and moved to Mesa, where they built a beautiful home and enjoyed retirement with great gusto. They bought a cabin in Heber where they created some of the greatest memories her grandchildren ever had. She was every bit as great of gramma, as she was a mom to her 6 grandchildren and 6 great-grandchildren who adored her. Vonnie was a great cook, made running a busy household and entertaining look effortless, all with the most beautiful smile and great sense of humor. Russ and Vonnie were married 68 years, and their love and devotion were an inspiration to all who knew them. Our hearts are broken, but we take comfort knowing she is in heaven and we will see her again. Funeral services will be Thursday, April 6, 2017 at 11 AM, with visitation at 10 AM, at Bunker’s Garden Chapel, 33 N. Centennial Way, Mesa, Arizona. Interment will be at the City of Mesa Cemetery. We send our deepest sympathies to Uncle Russ,Doug,Jeff,Rick, and the entire family. Aunt LaVonne was a wonderful person. I have so many fond memories of her, when I was growing up. She will be missed greatly. May the many special memories you all have help you through this difficult time. Thank-you for the condolences. Mom will be missed! My sincere condolences to the Parsons family on the loss of your dear loved one. Death can bring so much tears and pain but may your memories bring you comfort in the days and weeks ahead and have faith in God’s promise of a new world where death will be no more. (Revelation 21:3,4) My deepest sympathy to you all during this difficult time. Our sincere deepest sympathies to Uncle Russ, Doug, Jeff, and Rick. I have so many great memories. One is when I got my first job in Des Moines in 1968. And where did I stay? With Aunt LaVonne and Uncle Russ a home away from home. Doug, Jeff, and Rick knowing that your mother and all she meat to you she will remain in your heart forever. God Bless all of you at this very difficult time. Aunt Vonnie and Uncle Russ were second parents to Dave, Terry and me. I have many happy memories of all of us spending time together at each others’ homes and the farm. Doug (our social chairman) would never let us end one get-together without making plans for the next. I loved her laugh and her warm and loving nature. She has always been a very special person in my life. All my love to her “boys”. Aunt Vonnie you were my second Mom! I will never forget all of the special times we had together as families. You always kept all of us boys “in order”! When Doug, Jeff or Rick got completely out of line, you would “thump” them on the head! I would laugh until my sides hurt! You were one of God’s special people and I will never forget you! Godspeed Aunt Vonnie! I love you!……………Dave.